“I believe that autism is one of the things that makes me different from other people. I think differently – I look at the world differently. I build cool creations with Lego, K’nex, and sometimes the way I hear music is that I hear stuff that some people don’t. I can do good impressions: like a cat, Arnold Schwarzenegger, Darth Vader, Gollum, and some other cool characters. H (age 13) Emerging self-advocate!! 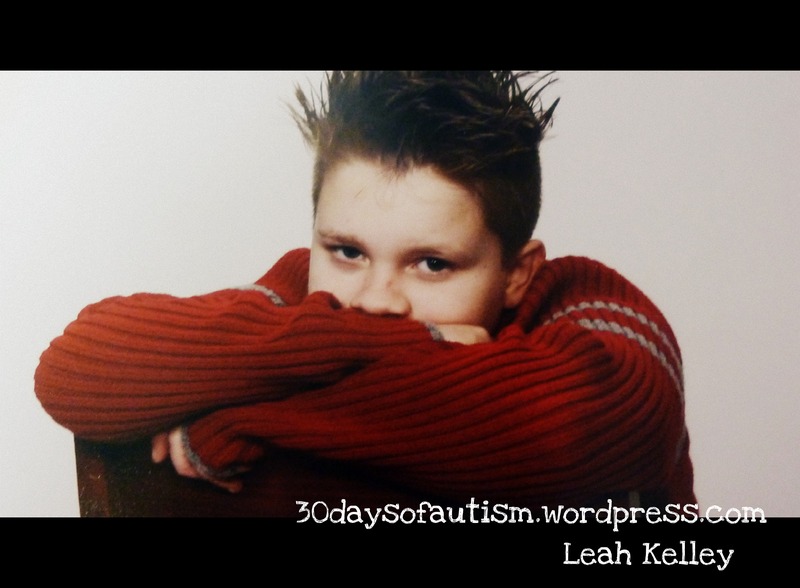 This entry was posted in acceptance, ASD, Aspergers, Autism, diversity and tagged 13-year-old, acceptance, April is Autism Awareness Month, Aspergers, Autism, diversity, Happines, Perspectives, self-advocacy, teenager. Bookmark the permalink. Thanks! I am honoured that it spoke to you! I appreciate your support! Yay! Go H and go Leah for raising such a proud boy! Thanks! You are well on the way with this with Charlie (“my love”)! It shines through brilliantly in your writing. Challenge accepted, Leah! I hope to raise a son as proud as your boy. Thank you for sharing. What a great post! I hope my son is able to become his own advocate as he gets older. Thank you> We have a ways to go… but I feel we are on the right path. Thank you Sue! I appreciate your encouragement and support! Awesome…”sometimes the way I hear music is that I hear stuff that some people don’t.” Tell him it applies to my kid and that statement helped me. Great post!